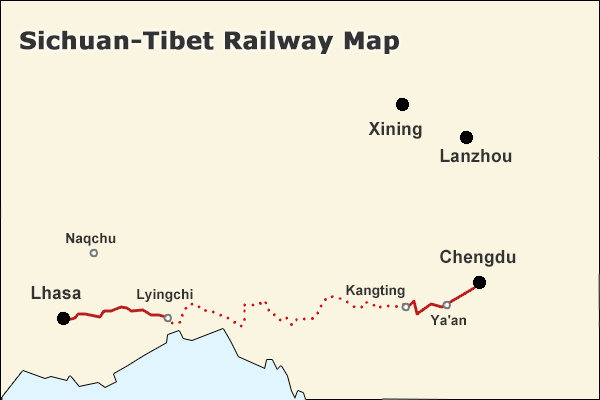 (TibetanReview.net, Jan19, 2018) – Reporting progress in the ongoing building of China’s second railway line into Tibet, China said Jan 18 that it had completed on Jan 17 the first super long tunnel on the Sichuan-Tibet railway. The total length of the tunnel, named as Sangzhuling tunnel, is 16.449 kilometres, reported the official chinadaily.com.cn Jan 18. The tunnel was reported to be located in the canyon area of Shannan (Tibetan: Lhoka) city in Tibet. The tunnel was reported to have taken 1,125 days and more than 1,200 construction workers to build since work began in Dec 2014. The report said that with an ambient temperature of 56 C, those on the job couldn’t work for more than two consecutive hours. 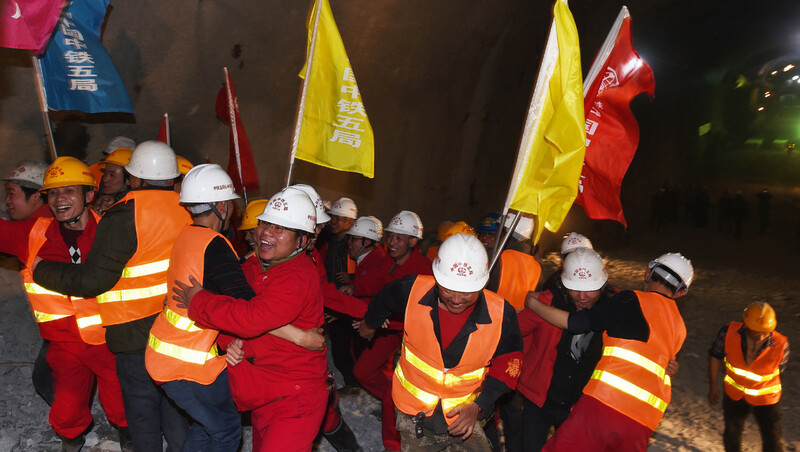 The maximum rock temperature inside the tunnel was stated to be 89.9 C, the highest encountered during any railway construction in the People’s Republic of China. More than 16,000 rock bursts were reported to have taken place.